Save valuable lab space with these incubated stackable shakers, designed to be stacked two to three high on the floor without sacrificing performance. This item is a non-standard voltage; please ensure you are ordering the correct product. Please contact customer service for assistance: 1-800-766-7000. 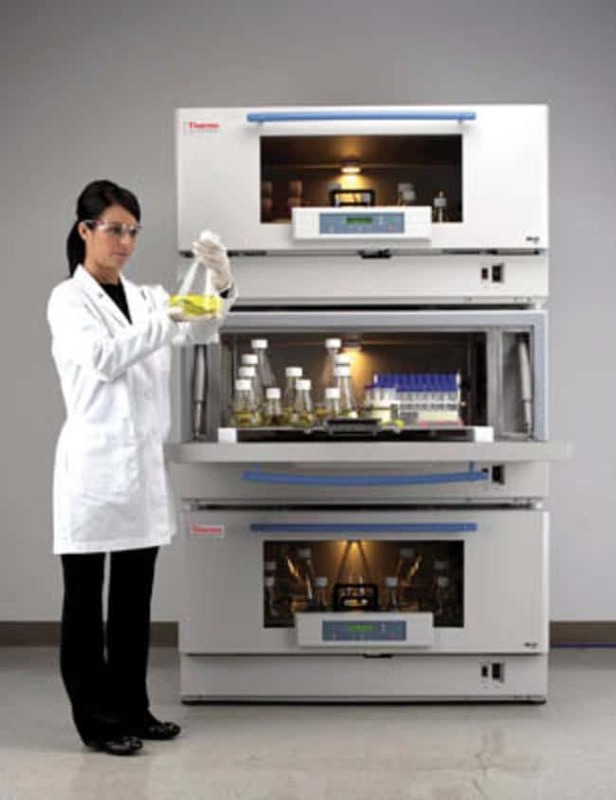 Save valuable lab space with Thermo Scientific MaxQ 8000 Incubated Stackable Shakers, designed to be stacked two to three high on the floor without sacrificing performance. These stackable shakers have the durability to run at top speed stacked three-high, contain a HEPA filter that ensures the air inside the chamber remains clean and reduces cross contamination, feature a slide out platform that provides convenient 100% sample access. The stacking kits are included with each unit at no additional cost. Platform not included. Optional single and double shaker stands and freestanding chart recorder is available. Stacking kit with each shaker. Dedicated or universal slideout shaker platform 29.5 x 18 in. (74.9 x 45.7cm), available separately. Height (English) Interior 11.8 in. Length (English) Exterior 33.3 in. Shipping Weight (English) 723 lb. Width (English) Interior 33.4 in. Depth (English) Interior 23.8 in. Height (English) Exterior 25 in. Width (English) Exterior 56.5 in. Trade up to a new Thermo Scientific MaxQ Digital Shaker and weâll remove your old one at no additional cost.